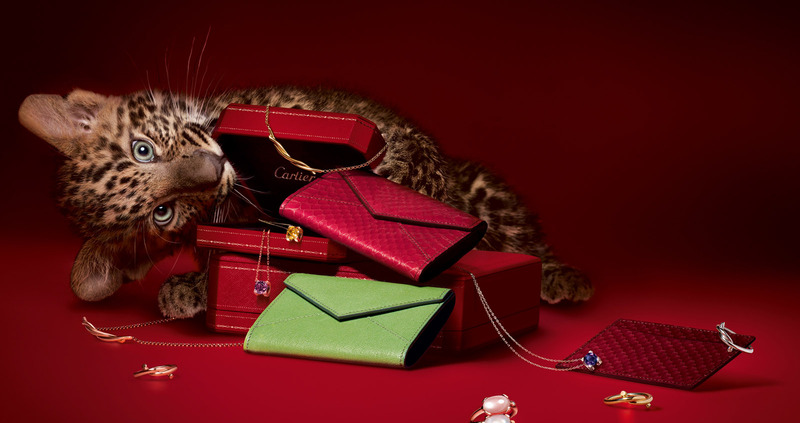 The Cartier name is synonymous with quality and elegance. 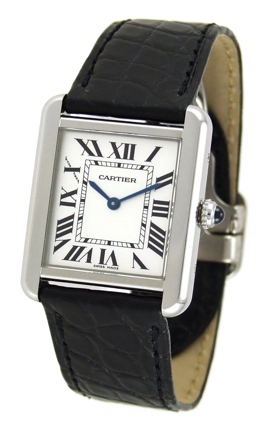 The W1018255 Tank Solo Steel by Cartier lives up to its name, being a watch of great craftsmanship and classic elegance. This Tank Solo invokes a classic look with its roman numerals and silver dial. This Tank Solo Steel has a square, polished steel case. The roman numeral hour display, iconic of the Cartier name, and looks simply stunning. The hour numerals go along the inside of the dial in a square irregular pattern, and there are also small black second markers. The strap is made from quality alligator leather. This watch is undeniably good looking. With formal attire you can be sure it will look fantastic. On top of looking great, this watch is well made, accurate, and built to last, and with the Tank history it is no wonder. The Cartier Tank gets i’s name from the war machines of the early twentieth century, so you know that this watch is made to last. Simply stated, this watch is of superb quality. So this is a watch that looks fantastic, exhibits master craftsmanship, and has a proud history, but there is a significant downside to it: the price. The Cartier Tank Solo Steel W1018255 will set you back between $2,000 to $2,500. Nothing about this watch is bad, but for a watch of this price you might expect it to have something more. For example, this watch has scratch resistant sapphire crystal, 30 meters worth of water resistant, and fine steel, but these are commonplace for watches of even half this watch’s value. To put things in perspective: for $2,000 you can get watches that have diamond or gold embellishments, and much more powerful water resistance. Really this is unfortunate. If this watch cost less than it would be a great buy. However, there is another up side to this watch: it is unique. With the square dial you might expect that this watch is overly done, and has a ‘high fashion’ feel to it, but it simply doesn’t. This watch looks fantastic, and it is thanks to it’s classic feel, yet it is its eccentricities that really set it apart. The blue hands may sound out of place, but they aren’t; they just look great. If you want a watch that gives you a unique timeless look then you will undoubtedly be happy with this watch, but know that you’ll have to pay extra for it.